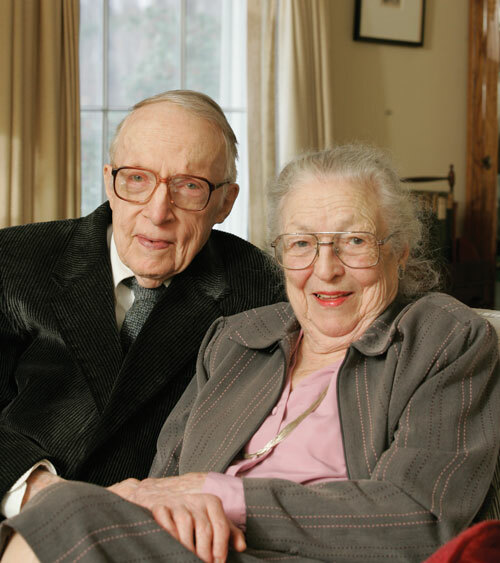 The William K. & Katherine W. Estes Fund was established to extend the legacy of one of the most influential psychological scientists of the past century. Bill Estes was an intellectual force of nature whose pioneering work had a profound influence in psychological science and earned him the nation’s highest scientific honors, including the National Medal of Science. Jointly overseen by the Association for Psychological Science and the Psychonomic Society, the Estes Fund supports a variety of activities aimed at strengthening methodology in mathematical, quantitative and experimental psychology and related areas. Bill Estes was a major contributor to both organizations: He served on the founding committee that established the Psychonomic Society and later chaired its Governing Board, and was a charter member of the Association for Psychological Science. Bill served as the founding editor of the APS journal Psychological Science, with Kay serving as managing editor. See APS, Psychonomic Society Join Forces on Estes Fund for more on the initiation of the Estes Fund. The mission of the Estes fund is to support the advancement of mathematical psychology, construed broadly, including psychological statistics, experimental methodology, and formal approaches to psychological research.